Watch the best of Spanish cinema, sate your food cravings at a benefit food fair, feel the force of Star Wars, and more. Get your tickets and buckets of popcorn ready for Pelicula 2014: Spanish Film Festival, opening on October 9, 7 p.m., at the Greenbelt 3 Cinemas. The film festival runs through October 19. See some of the best and brightest from contemporary Spanish cinema. Presented by Instituto Cervantes, the Embassy of Spain-AECID, and the Film Development Council of the Philippines (FDCP), the 2014 edition of the Spanish Film Festival will screen around 20 films. On October 10, at 7 p.m., Spanish filmmaker David Trueba will present his movie Vivir es fácil con los ojos cerrados (2014), followed by an open forum after the screening. Take your pick from the selection of romance, comedies, documentaries, suspense, and dramatic films. For the full line-up and more information, click here. 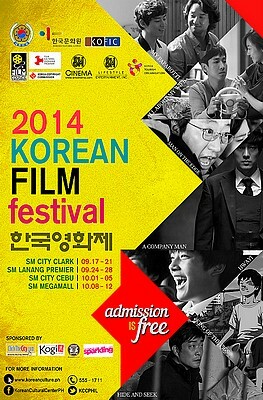 Finally, the 2014 Korean Film Festival sets foot in Manila from October 8 to 12 at SM Megamall. So Ji-Sub's action-thriller Company Man leads this year's roster of films, as well as Hide and Seek, Hwayi, and King of Pigs. The romantic comedy All About My Wife, and dramas Man on the Edge and My Paparotti complete the list. For synopses of the films, click here. Admission is free. For more information, call 555-1711 or e-mail events@koreanculture.ph. 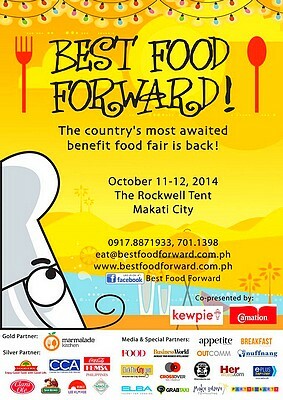 Feast your eyes and prepare your taste buds for the country’s most awaited benefit food fair, Best Food Forward 2014, happening on October 11 and 12 at the Rockwell Tent. From a meager 2-day attraction for a few hundred people during its very first staging in 2011, Best Food Forward is expected to surpass its attendance of over 6,000 food-lovers on its 4th year. With various specialty food stalls, innovative cooking demonstrations, celebrity chef appearances, family attractions, celebrity guests, and many more, this year’s event is set to be the most memorable one to date. For more information, call 701-1398, 0917-887-1933, 0920-914-8175, or click here. 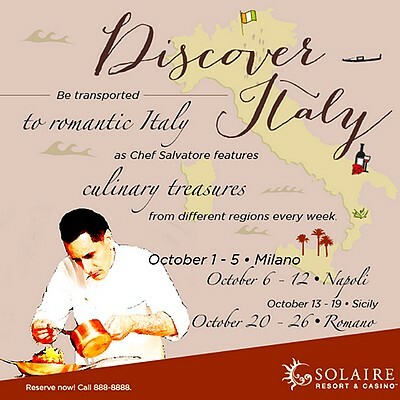 Be transported to romantic Italy as Chef Salvatore of Solaire’s Finestra features culinary treasures from different regions every week of October. Drop by and enjoy the colors and flavors of finest Italian dishes as you Discover Italy! Explore Milano from October 1 to 5, Napoli from October 6 to 12, Sicily from October 13 to 19, and Romano from October 20 to 26. The chefs at Finestra bring the colors and flavors of Italy to Solaire Resort and Casino. Authentic handmade pastas, designer pizzas, artesian olive oils, and homemade gelato and sherbet all delight with their rich flavors and finest quality ingredients. Drop in for dinner at Solaire's signature Italian restaurant, and dine on the best Italian dishes coupled with the most romantic panoramic view of the Manila Bay. With a private room and a wraparound patio, this is fine Italian dining like Manila has never indulged in before. Celebrate reading and literacy, Star Wars-style! 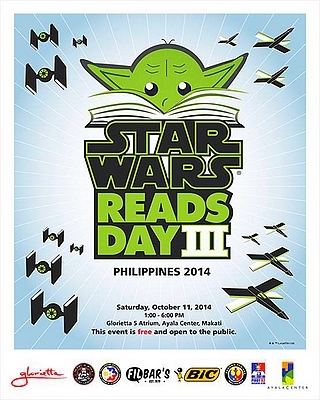 Join the Star Wars Reads Day Philippines 2014 on October 11, 1 p.m., at the Glorietta 5 Atrium for a fun day of arts and crafts, gaming, storytelling, stormtroopers, and more! Admission is free. 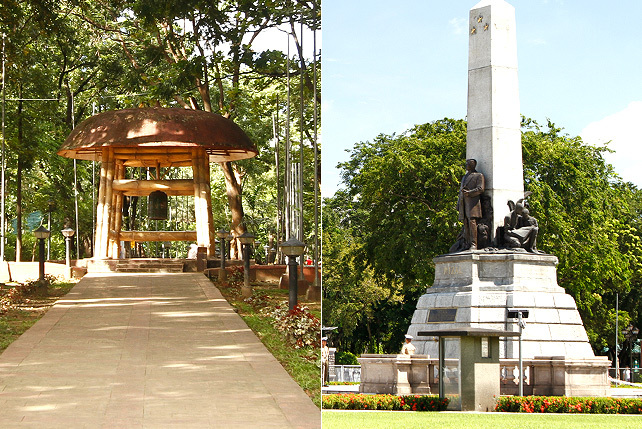 You can hang out with the clone troopers, stormtroopers, snowtroopers, and biker scouts from the Philippine Outpost of the 501st Legion, and the Jedi of the Bagong Pag-Asa of the Rebel Legion. Some Sith Lords and bounty hunters are dropping by, too, and maybe a pair of feisty droids. Make sure to visit the exhibit at Kapow! Universe on the second floor of Glorietta 5. That one opens on October 7, so the Star Wars fun starts even before the big day. There will be demos of Star Wars tabletop games: Star Wars the Card Game and X-Wing Miniature Game, hosted by True Blending Gamers. If you're feeling creative, sign up for arts and crafts, sponsored by Bic. You can make your own Droid, make a rainbow-colored Sith Lord, or design a lightsaber of your own. 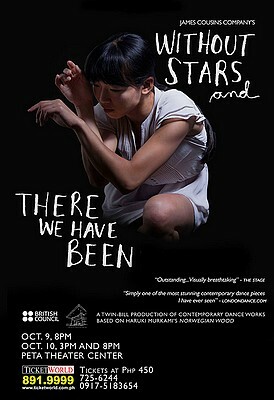 Catch James Cousins Company’s Without Stars and There We Have Been on October 9, 8 p.m., and October 10, 3 p.m. and 8 p.m., at the PETA Theater Center. This moving piece takes inspiration from the troubled relationships portrayed in Haruki Murakami’s bestselling novel, Norwegian Wood. Focusing on the first half of the story and the development of relationships between the novel's protagonist and his late best friend’s girlfriend, Cousins presents a daringly intimate glimpse into a secluded world of fragile dependency. Tickets are priced at P468. Two! 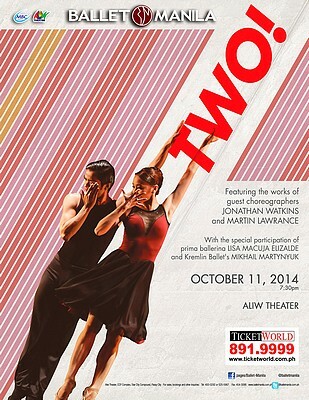 features two of the most notable names in British dance, Martin Lawrance and Jonathan Watkins, as they present works especially created for Ballet Manila, with the special participation of Lisa Macuja Elizalde and Kremlin Ballet’s Mikhail Martynyuk. Catch the production on October 11, 7:30 p.m., at the Aliw Theater. Jonathan Watkins began choreographing from an early age, winning the Kenneth Macmillian Choreography Competition at the Royal Ballet School at only 16 years old. After graduating from The Royal Ballet School to The Royal Ballet Company, he created several pieces for the Clore Studio (Switch, Refresh, Remind Me and In the Presence of Others). He was subsequently commissioned to choreograph Silent Vision and Stop Me When I'm Stuck for the Linbury Studio Theatre. Martin Lawrance began dancing with Leicester Youth Dance and trained at Coventry Centre for the Performing Arts and then at the London Contemporary Dance School. He first worked with Richard Alston while performing with the postgraduate performance group 4D. He danced with the Richard Alston Dance Company from 1995 to 2007. Tickets are priced at P721, P515, and P360. 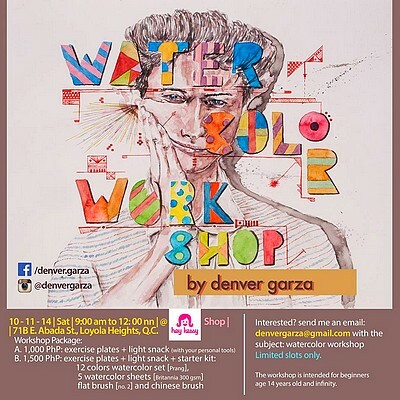 Sign up for the Watercolor Workshop by Denver Garza, happening on October 11, 9 a.m., at the Hey Kessy Shop in Loyola Heights. The workshop package is priced at P1,000, inclusive of exercise plates and a light snack (with your personal tools), and P1,500, inclusive of exercise plates, a light snack, and starter kit (consists of watercolor set, watercolor sheets, flat brush, and Chinese brush). 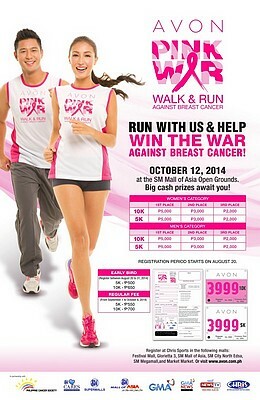 Join the fight against breast cancer at the AVON Pink War (Walk & Run), happening on October 12, 4:30 a.m., at the SM Mall of Asia Open Grounds. 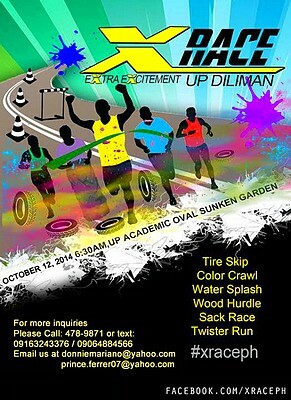 Make it a family day at the X-Race 2014 on October 12, 6:30 a.m., at the UP Academic Oval Sunken Garden. 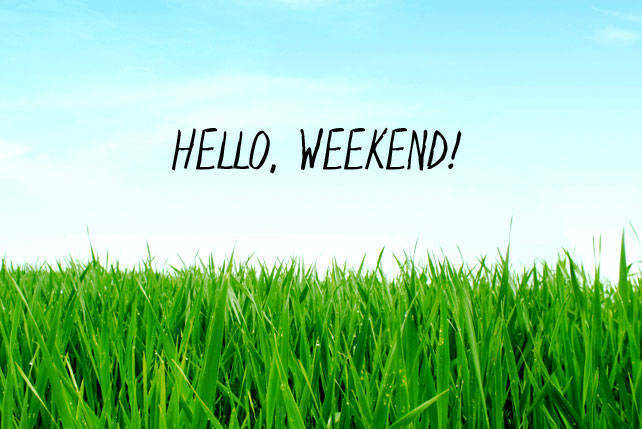 Take part in the Obstacle Run (Sack Race, Tire Skip, Hurdles, Twister Run, and Color Crawl), Fun Run, Water Splash Ru, and Color Run for a memorable Sunday morning! Registration is priced at P599. To register, click here, or call 478-9871, 0906-488-4566, or 0916-324-3376.